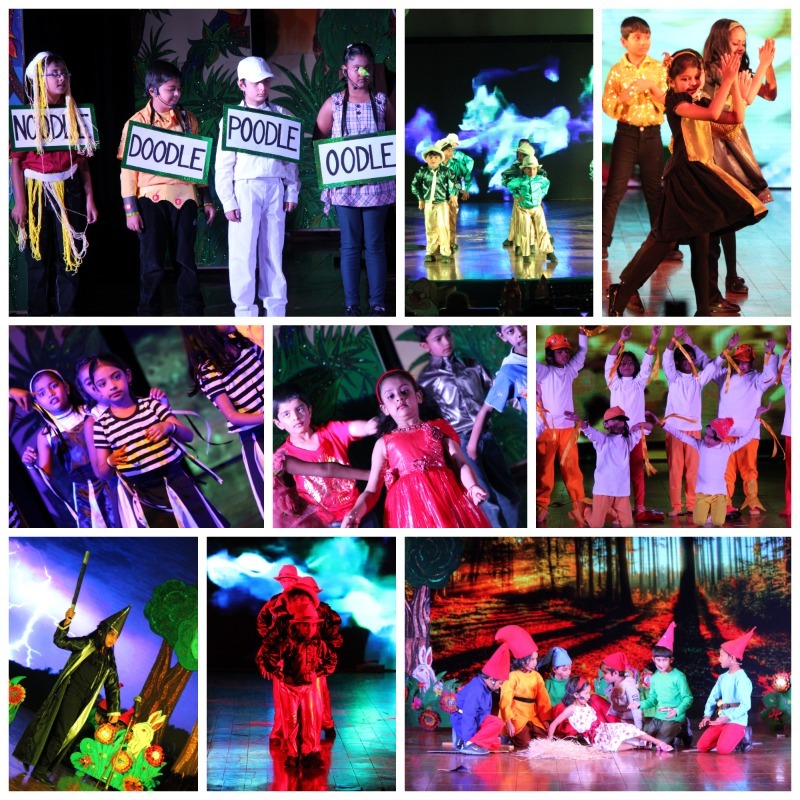 Lil p’s school had their annual day celebrations Last week. Lil P’s class was supposed to do the zebra dance. 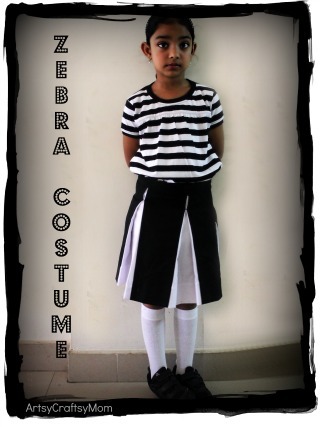 Unlike last year, The school had outsourced the costume design to the parents. Just a spec was given to us and we had to hunt around town to get the look perfect. I finally found a striped T-shirt at shoppers stop.. 5 moms got together and got the skirt stitched. Lil P was excited and ready to rock. 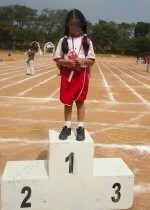 Unfortunately for us, Lil P fell sick in her school carnival.. that was 5 days before her dance. 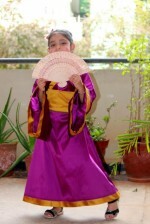 On the day of the performance, the fever was down so we took her to the auditorium 1/2 hr before her dance. The poor kid was sooo excited yet, she had no energy. She loves to dance, so It was breaking my heart to see her fighting with herself. Anyway, She danced pretty well.. but the smiles were missing. Here is a collage of all the events that day..
And here is a video..
« Painted Spoons – 0ne ok-ok & one Epic fail..
That is so cute, and considering she wasn’t well, she did a fab job. Hope she is feeling better. Zebra costume is fabulous. Hope Lil’ P is much better now. I have pinned this costume on my board. Hope you don’t mind. Have also started following your blog.